As with so much in life, the answer is a definite maybe. Apple will start accepting iPhone 5 pre-orders on September 14. Before the virtual lines start queuing up across the Internet, you’ll need to decide whether you’ll be one of the eager early adopters out to get Apple’s latest smartphone. To determine whether an upgrade to the iPhone 5 makes sense for you, you need to consider a few factors: cost, what you have now, and what you’d really get out of the upgrade. For some lucky readers, perhaps money is no object. You can stop reading, get ready to pre-order an iPhone 5 at any cost, and then start the hunt for a solid gold case to put it in. For the rest of us, however, cost is a key concern. You can check your upgrade eligibility directly from Apple’s website: Choose your carrier, enter in a few details, and find out how much it’ll cost you to upgrade to the iPhone 5. Reports from Macworld staffers and others around the Web suggest that AT&T at least is being stingier this time around than it has in the past with its upgrade pricing. If you bought an iPhone 4S at the time of its release last year, AT&T may demand $649 from you if you’d like to upgrade immediately. If your upgrade pricing is more competitive—all the way down at the $199 entry-level price, or within $100 thereof, that affordability might make your upgrade decision easier. But whether it makes sense to plunk down several hundred dollars to replace the perfectly functional iPhone in your pocket should also be influenced by what model iPhone that is. If you’re still using an iPhone 3GS, iPhone 3G, or the original iPhone, good heavens, yes: It’s time for an upgrade. The upgrade from your older iPhone to the iPhone 5 will feel a good deal like when you upgraded from whatever random cellphone you were using to the iPhone in the first place. Apple’s upgrades to the iPhone in the years since the iPhone 3GS are legion: You get the Retina display, with crisper text and sharper visuals everywhere; significantly faster wireless and cellular data connections; a substantially improved camera—not to mention a front-facing one; and a dramatically speedier device over all. The iPhone 5’s speed gains will feel even more impressive to folks who’ve grown accustomed to the relatively pokey performance of Apple’s older iPhones. Also worth noting: iOS 6, which arrives on September 19, won’t work at all on the original iPhone and the iPhone 3G. On the iPhone 3GS, you miss out on many iOS 6 features, including turn-by-turn navigation and flyover in Maps, shared Photo Streams, FaceTime, Siri, Panorama photography mode, and Offline Reading List. Unless you only very recently got your iPhone 3GS, your upgrade pricing coming from an older model iPhone should be reasonable. Now is the time to upgrade. The price should be right, and the benefits are plentiful. The decision for iPhone 4 owners is less clear-cut. The iPhone 4 remains a powerful iPhone. Like the iPhone 3GS, though, it misses out on numerous features new in iOS 6: turn-by-turn navigation and flyover in Maps, Siri, FaceTime over cellular, and Panorama. Siri’s still in beta with iOS 6 and the iPhone 5, but it’s increasingly powerful. Any Siri envy you felt for iPhone 4S users will only grow stronger once the proliferation of the iPhone 5 begins. But software differences aren’t the only things iPhone 4 users will miss out on compared to folks wielding the iPhone 5. Besides the immediately apparent difference—the larger screen—the iPhone 5 offers a variety of distinct upgrades over the iPhone 4. Take the processor, for example: The iPhone 4 uses Apple’s A4 processor. The company says that the A5 chip in the iPhone 4S offers seven times faster graphics performance and twice as speedy CPU performance. 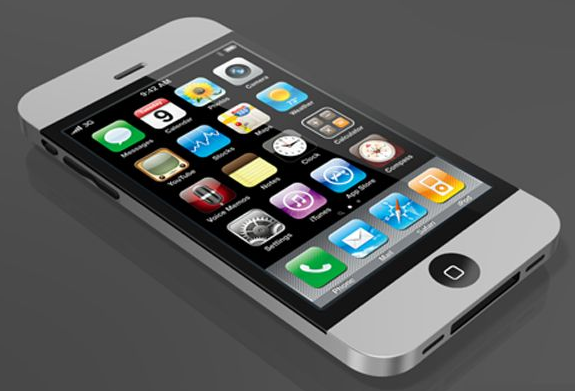 The iPhone 5 uses an A6, which Apple says offers twice the graphics and CPU performance of the A5. That puts the iPhone 4 to iPhone 5 processor improvements around 14 times on the graphics side, and four times on CPU tasks. That’s big. Couple the software features and processor boost with the iPhone 5’s camera, audio, and networking improvements, and there’s a compelling case to upgrade to the iPhone 5. The last bucket of potential iPhone 5 upgraders is, of course, those who own what—until this week—was Apple’s top-of-the-line iPhone. If you own an iPhone 4S, it’s tough to make the case for you to upgrade to the iPhone 5. First, let’s look at all you don’t miss out on: Unlike other old iPhones, there are no software aspects of iOS 6 that the iPhone 4S misses out on. It gets all the features of Maps—including flyover and turn-by-turn directions, FaceTime over cellular, Siri, and the newly-announced Panorama feature. Thus, the case for upgrading from an iPhone 4S to the iPhone 5 is strictly a hardware one: The iPhone 5 has the bigger screen, twice the CPU and graphics performance, upgraded networking, and slightly longer battery life. Both the front- and rear-facing cameras on the iPhone 5 improve a bit over the iPhone 4S’s offerings. But—at least until you first saw the iPhone 5—it’s likely that the iPhone 4S’s screen never felt particularly cramped, and your FaceTime correspondents likely didn’t complain during video chats that your end lacked high definition video. Don’t misunderstand: While we haven’t yet had the opportunity to review the iPhone 5, all signs point to its being another satisfying upgrade on the iPhone line. But Apple’s comfortable path of evolutionary upgrades by definition means that you can generally sit out an in-between iPhone upgrade without feeling like you’re missing out on too much. Since no iPhone 4S owner has yet owned that device a year, the upgrade pricing will be steep, and the real-world improvements from the iPhone 5 will impact you less than they will other customers with older iPhones. It’s probably okay to sit this one out if the unsubsidized price tag for a new phone gives you or your bank account pause.